Over the last ten years, the edtech sector has changed dramatically, with teachers, students and parents realising the growing impact that technology will have on the way we learn, develop skills, and teach. Mobile connectivity in particular, has provided the sector with a number of new opportunities for operators globally to change the future of education through developing the skills of the 21st century digital workforce. As demand for education and skills increases, there is a growing emphasis for students to become digital citizens. Through nurturing digital citizenship, we can generate industry growth with a skilled workforce. The question is, how do we use technology to make education work effectively for the needs of the 21st century workforce and support students in their journey to becoming digital citizens? The edtech market is facing many challenges when it comes to maintaining innovation in technology. There are concerns from educators that using a mobile device in the classroom can be distracting. Concerns around children’s safety online at school, for example, exposure to cyber addiction and bullying, have also led some schools to ban mobile devices and restrict access to which websites students can access. However, banning mobile devices and restricting access to the internet, is not the only way of keeping children safe online. As such, it is critical that schools understand that digitalisation of education will mean applying digital technology to a new form of learning that promotes spontaneous collaboration and personalised learning, while enabling greater access to learning resources and the rapid acquisition of new skills. Providing students with a device can help to encourage students to become digital citizens, by encouraging self-directed learning, while offering students a new and more enjoyable way to learn. 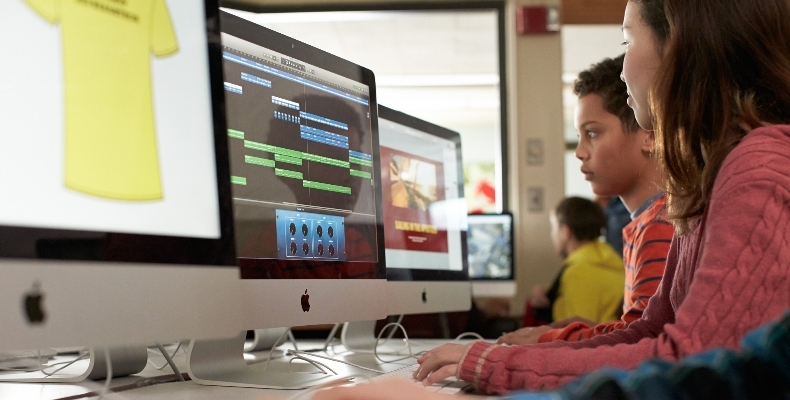 Devices such as iPads in the classroom for example, can support teachers in managing classes using Apple’s Classroom, while also equipping students with digital skills, such as learning to code, using Apple’s Swift Playground app. To empower students to go online safely, schools should look to incorporate a robust mobile device management (MDM) solution into their mobile device programme. Such a solution can manage all the mobile devices deployed at school through a single pane of glass, and create a safety net as students learn to use technology, social media and the internet responsibly. Students can benefit from secure, managed devices, which will enable them to gain a high level of autonomy in learning, in addition to honing their digital abilities from day one. While teachers can use the technology to engage with students, gain insight and visibility into student projects. Taking an example, when they moved into a new school building, Holy Trinity C of E Primary School wanted to maximise the success of their existing 1:1 iPad rollout by making their IT environment 100% Apple, so that every device in the school could work together seamlessly. The school wanted to empower users, from the students, to the staff. Using an MDM solution provided by Jamf, Holy Trinity was able to have full visibility of which apps were available to students. They also had the ability to purchase apps and make these available only to certain peer groups, such as teachers. Through the partnership, Holy Trinity was able to successfully implement Apple iPad devices within the classroom to create an interactive and fun learning environment, while being confident that the technology was safe and doing what it should be doing. 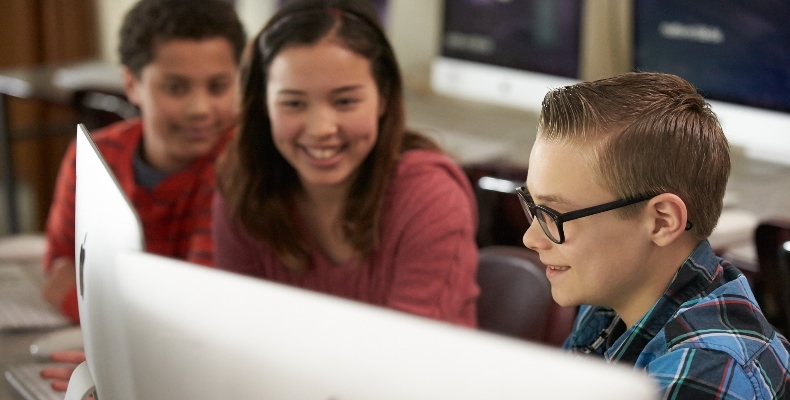 Implementing a leading MDM strategy into schools’ device programmes enables students to understand how to use the internet safely and become active participants in their learning. Coupled with the introduction of disruptive technologies, such as artificial intelligence (AI), machine learning, virtual reality (VR) and augmented reality (AR), there are huge potentials to transform the way students learn today. To develop this new technology ecosystem, the opportunities will need to be fully communicated within the education sector, to ensure that educators can be confident in implementing the right solutions to manage technology in the classroom to make education work more effectively for the needs of the 21st century. To hear more on how mobile technology and MDM will impact the future development of the education sector, join Jamf at its UK roadshow in London on Friday 17th May 2019. For more info, please visit: www.jamf.com/events/jamf-nation-roadshow-london.